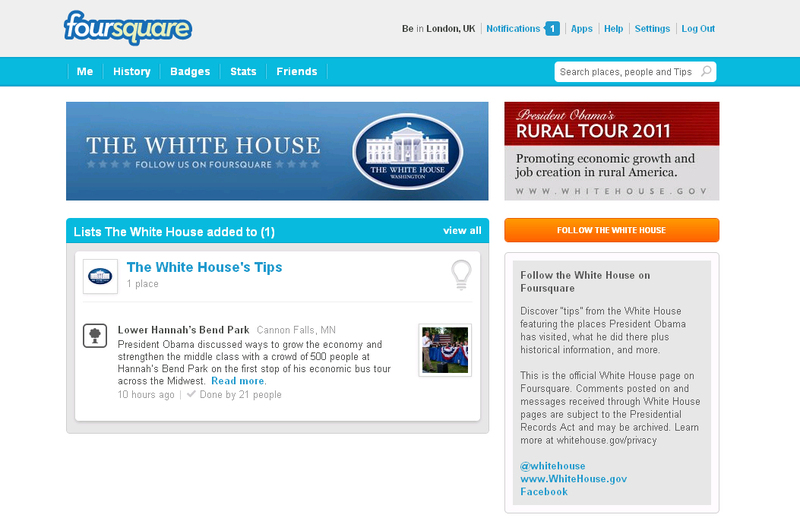 President Obama has joined location-based social network Foursquare. The platform will see the President, using the handle ‘The White House’, posting information about the places he visists and creating events for supporters to ‘check in’ to. If Foursquare had anywhere near the number of members as Facebook or Twitter, it would doubtless be a ‘must have’ tool for all politicians. Perhaps having Obama as a user will swell the numbers and Foursquare will become as essential a tool as the trusty risograph.